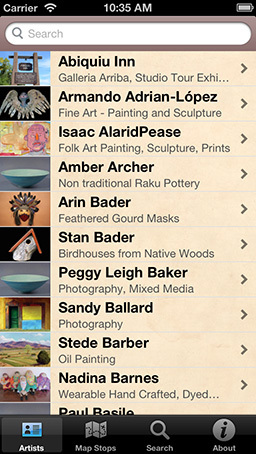 The ART CARDS APP offers a view into the art of artists in the annual Studio Tour. 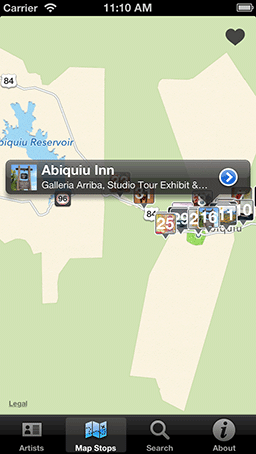 Geo-located MAP STOPS help you plan your tour visit during the three day studio tour. 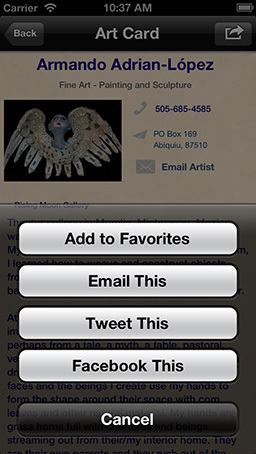 Create your own list of favorite artists, use social media to promote their work to your friends. 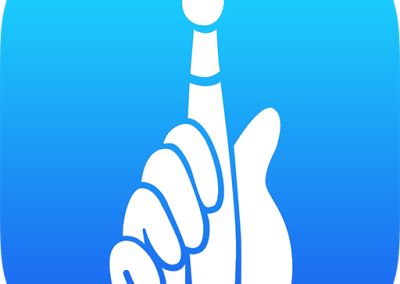 The ART CARDS app provides a mini-site for each artist. Mobile responsive Studio Tour Site with a matrix of of artist Art Cards are available. Interactive map and locations of artists, studio and galleries.